Your cloud of verses to enhance and grow your Bible study habits. 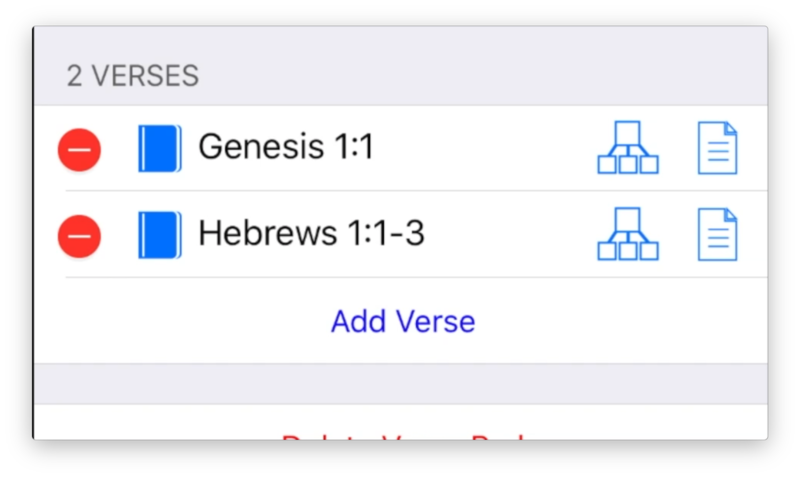 A next generation Bible study companion for your iOS device, free of charge. 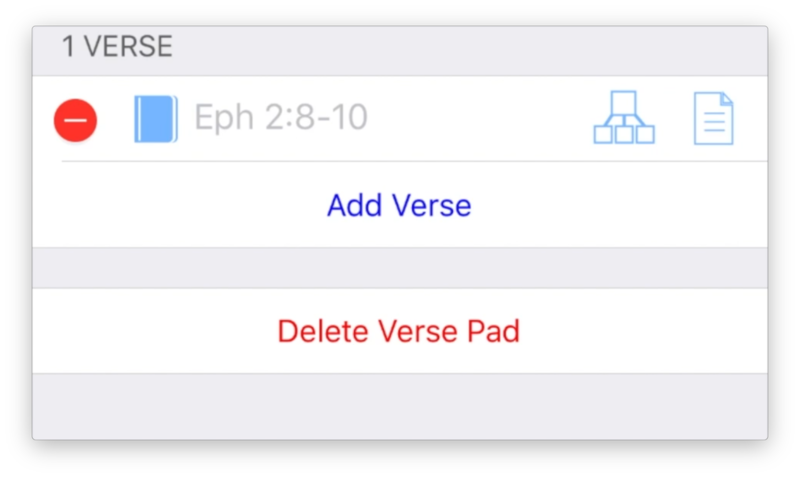 A simple and organized way to save verses, cross references and include notes for each verse. For use during Bible study, sermons and for verse memorization. A place to save all the verses that you want readily available. Save verses that are global, like highlighting for Bible reading. Simple, context aware, and fast verse entry. You only need the first letters of a book, no spaces needed. 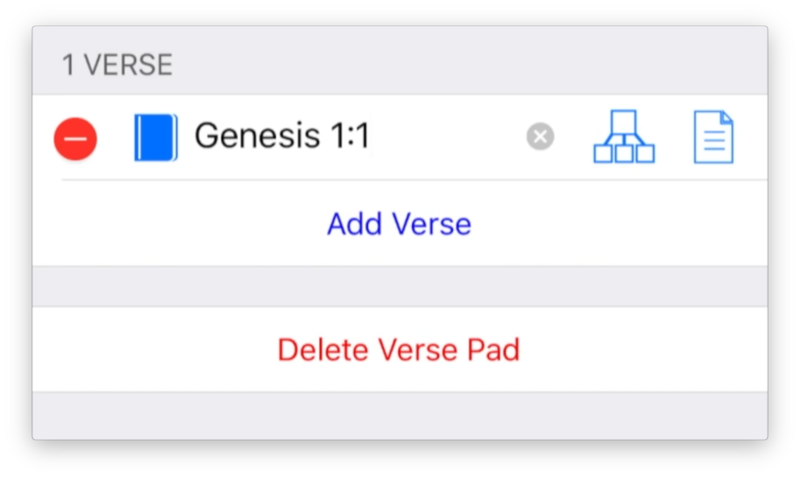 The previous verse in a Verse Pad can be used as a shortcut for the next verse. There are many ways to enter verses and ranges.